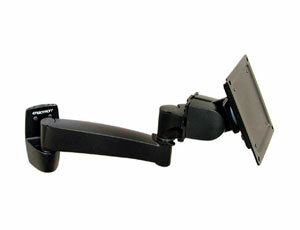 This unit provides a sturdy platform for your LCD while allowing swing, tilt and pan motion. 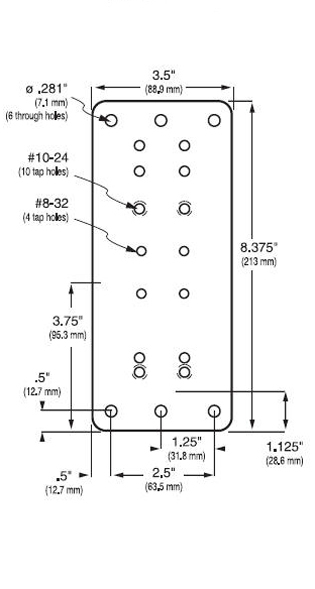 System depth is minimal when pushed back against the wall, perfect for space-constrained areas. 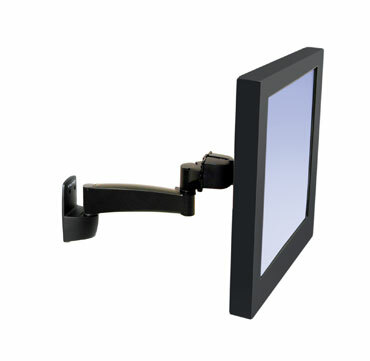 Patented friction system provides smooth long-life adjustment while maintaining touch-screen stability.